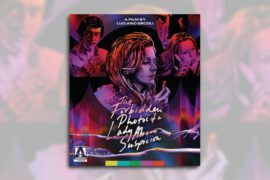 With the recent releases of massive, attention-grabbing box sets (the Zatoichi series and Volume 1 of Martin Scorcese’s World Cinema Project), a beloved landmark American film of the mid-70s (Nashville) and the intrigue of an overlooked Italian Oscar-winner (Investigation of a Citizen Above Suspicion), Criterion’s new blu-ray edition of Grey Gardens runs a high risk of getting lost in the shuffle. 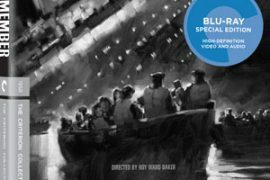 Surely, the film’s legions of fans will turn out in adequate numbers to support the reissue, and I’m confident that they won’t be disappointed by what they find here, even though there’s nothing new to be found in the packaging or supplemental features. But for viewers long familiar with the improbable, unsettling documentary of a pair of fallen Long Island aristocrats, a certain air of inevitability and “old news” lingers over the announcement, leaving some to focus more attention on the gaudy new additions to Criterion’s pantheon. I’ll admit here to my own somewhat mercenary motives in requesting a review copy of the disc for this site. I did so with the thought of simply saving myself some money, since I already own the handsomely slipcased two-DVD set of Grey Gardens (1976) and its companion feature titled The Beales of Grey Gardens, assembled from outtake footage three decades later after the original Maysles Brothers film established its reputation as a compelling masterpiece of direct cinema. For some reason, it always seems a bit easier to spend my own cash on films that I don’t already possess. Plus, since I’d already seen Grey Gardens before, I figured I could give it a quick once over, jot off a few summary thoughts and swiftly move on to whatever’s up next in my watching/blogging queue. Wow, was that a miscalculation. After a few days of critical immersion into this idyllic realm, I am smitten with Edith Bouvier Beale. Ever since I popped in the blu-ray late last week, the world of Big Edie and Little Edie Beale and their decrepit mansion known as Grey Gardens has been on steady repeat mode, either in my disc player, my laptop, my smartphone or in my mind’s eye (and ear.) Certainly the obligation of having to write a review has a way of sharpening the focus and drawing one a bit more deeply into the experience than more casual viewing might entail. But I think I’m also at a place in life where the plight of the Beales connects with me more viscerally and emotionally than it did when I first watched Grey Gardens out of curiosity as a library rental somewhere in the neighborhood of ten years ago. 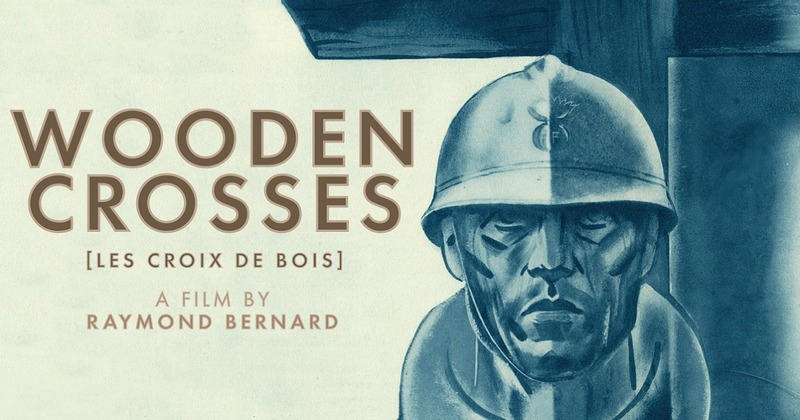 At that time, my assessment of the film was that it provided an amusing character study of two oddballs with a distinguished family lineage and flamboyant personalities, whose appalling riches-to-rags living conditions created a spectacle that had to be seen to be believed. While all that remains more or less accurate as a short description of what we see, I’d regard it now as a routine and shallow take on the film, an appraisal that just glides over the surface and misses most of the beauty of what David and Albert Maysles and their associates captured over the course of a few summer months spent in East Hampton, NY in the mid-1970s. This sad state of affairs, persisting and deteriorating over a few decades, eventually caught the attention of local authorities, who found the squalor in such a high-rent neighborhood unacceptable, and then the media, when the scandal of Kennedy/Bouvier/Onassis relatives living in destitution became proved so easy to sensationalize. A cover story by Gail Sheehy written for New York magazine blew the story up to a national scale, and soon thereafter, the Maysles brothers, already famous for cinema verite milestones like Salesman and Gimme Shelter, decided that Big and Little Edie would serve as compelling subjects for their next film. They befriended the Beales, and this relationship continues to stir debate as to whether or not it was an exploitative move on the Maysles’ part or not. I’m content to presume that both parties in the deal were chasing after their own perceived advantages. 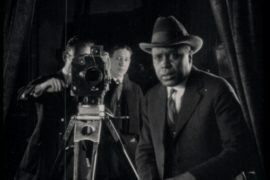 For the Beale women, the attention of the Maysles and their film crew presented an opportunity for both of them to fulfill their ambitions as thwarted performers and would-be celebrities, destinies that they both believed would have awaited them if circumstances had been only slightly different. The Maysles by that time were clearly astute enough to recognize that they had a robust, unique and highly cinematic subject before them. Both of the Edies were feisty, outspoken, colorful personalities, the kind of people whose casual utterances packed such sharply barbed humor and bluntness that audiences would laugh out loud almost in spite of themselves. The ruined home they lived in was architecturally and geographically significant, simultaneously splendid and horrific and overflowing with the kind of spontaneous possibilities that guaranteed footage worth shooting even if they had no clear idea of what the next day’s session would offer. The tattered mementos of a once-prosperous past scattered all around their house contrived an instant mythology that would easily and eerily resonate with so many viewers, even those who grew up with much less privilege but had learned how to admire and identify with it from a distance. And most profoundly, the generational and familial conflict at the heart of this story gave the saga of Grey Gardens a sense of gravity and authenticity that, at least when given ample consideration, would elevate the film from being a mere celebration of bizarre quirkiness into something more transcendent. The Maysles cinema verité methods proved to be perfectly suited to conveying the story, riveting our attention on the lasting impact of dreams deferred and ultimately discarded, especially on women who appear to have been overly controlled and seldom taken seriously, to the point that they eventually snapped under the pressure of having to live up to externally imposed expectations. Such are the thoughts, at least, that my imaginary weekend at Grey Gardens stir up within me. I could probably go on at much greater length in offering my own analysis of what Little Edie in particular was forced to endure, and how those pressures shaped her response. (My next request of Ryan is to have me on as a guest if Criterion Cast ever does a podcast on these films.) But I have a greater desire to just express my heartfelt admiration for her as an inspirational figure who managed to make something memorable and genuinely beautiful of her life in the midst of a terrible predicament. Her sharp wit, savvy determination, ebullient expressiveness and passionate energy are balanced by charming self-deprecation, disarming candor and a willingness to get real and vulnerable on a moment’s notice when the story she’s telling requires her to drop the guard a bit. In short, Little Edie is a “staunch character,” whose strength and intelligence come through clearly when one takes the time to absorb and reflect on all the content found on this disc. I’ll leave it to others to weigh in with their diagnoses of mental illness or delusions of grandeur. To me, she’s a survivor whose experiences late in life, after Grey Gardens (the film) had found its audience, validated her early, undeniable struggles and setbacks – a patron saint and a beautiful soul. She and we are all fortunate that the creative spark of her individuality was preserved in a format that can be easily shared, studied and admired. As for this disc then, if my description of the Beale’s situation makes it seem like you’d be interested in hanging out with them for awhile, and you don’t own it, then I have to give it a super-strong recommendation, as in essential. If you’re still not sure, both films are available to watch on Hulu Plus. But you won’t get the insightful 2001 commentary that provides a lot of back story on the film’s creation, nor will you get to hear Little Edie’s clarifying audio-only interview from 1976, shortly after the film had been released to high acclaim. It’s also incongruously priced ten dollars less than you would have to pay for the DVD box set, so there’s that. For those who already own the DVDs, the main attraction here is found in the upgraded image quality. The comparisons between the SD and HD presentations show a substantial improvement, making the experience of moving around the estate, watching the Edies banter and bicker between themselves (and occasionally, with the people behind the camera or various other guests) seem like something palpably new and more personal. 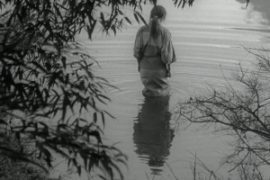 Though a grainy texture necessarily remains from the 16mm elements, the colors are more vivid and lifelike. I felt a genuine sense of presence and proximity to the Beales, especially in the outdoor scenes. 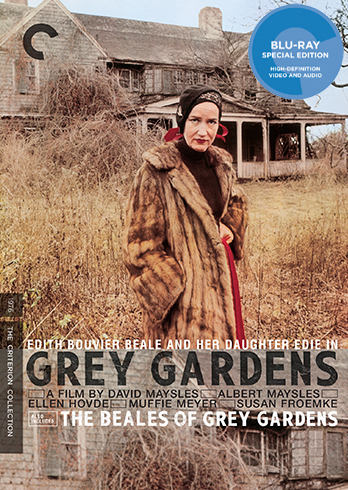 Despite all the emphasis on dialogue, Grey Gardens is a richly visual document – flowers and blue sky and green foliage in the exteriors, the brightly painted walls and Little Edie’s incomparably improvised “costumes of the day” in the interiors, all benefit substantially from the 1080p transfer. Those who pay closer attention to such details than me even report that the framing has been expanded, offering a bit more information around the edges. And of course we get uncompressed mono audio and sharper subtitles, along with the convenience of having everything on one disc, without the necessity of two cases to hold it all. The only drawback to mention is that, with both Grey Gardens films compressed into one, this new release no longer includes Michael Musto’s short essay that was included on the insert for The Beales of Grey Gardens. But no worry, you can still read it here. And yes, we do lose another spine number (#361), for those of you nerdy enough as I am to keep track of those things. Compared to the losses that many others experience in life, it’s hardly worth mentioning, but thankfully we have the testimony of these two remarkably determined women to bolster us through even greater bouts of adversity that life may yet have in store for any and all of us.